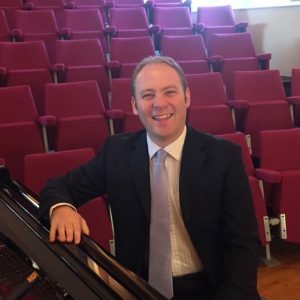 Oliver Walker is the Director of Music at Repton School in Derbyshire and Musical Director of the Solihull Choral Society, roles he combines with a freelance career as a choral conductor and organist which has taken him around the world. Oliver studied Music at Keble College, Oxford, where he was also an Organ Scholar, and has held organist positions at Wells, Gloucester and Chelmsford Cathedrals. At Repton Oliver is responsible for the strategic direction of one of the UK’s leading independent school music departments and works with an outstanding team of music staff to deliver a vibrant programme of music. In this role he directs Repton’s flagship choir Schola Cantorum in their ambitious programme of services and concerts, condcuts the school-based choral society MusSoc and is Artistic Director of the Repton Concert Series, an initiative running throughout the year which engages professional musicians to work with pupils and deliver concerts to the school and wider community. Through his work at Repton, Oliver is much in demand as an adjudicator and regularly delivers workshops to schools throughout the country. From 2010-2016 Oliver was the Head of Choral Music at Solihull School where he directed the chapel choirs in their busy routine of services, concerts and tours. Under his direction the choir appeared on 10 BBC Radio 4 broadcasts, gave concert tours in Normandy and Norway (including a performance of Britten’s War Requiem with the Bergen Philharmonic Orchestra) and twice performed with Gary Barlow in the LG arena. In 2011 he founded the choral outreach programme ‘Solihull Sings!’ which has since impacted on over 1200 children. In 2012 he was awarded a Civic Honours Award for his contribution to music making in Solihull. As a conductor Oliver has undertaken a wide variety of projects. In recent years this has including being the Assistant Conductor for the premiere of David Lang’s Crowd Out with Birmingham Contemporary Music Group (which was an RPS Awards runner-up), directing a Come and Sing Vivaldi Gloria with 250 singers and John Rutter’s The Reluctant Dragon in the New Paths Festival, Beverley, working with the choirs of the Junior Guildhall, London, and conducting a performance of Mozart’s Requiem with The Orchestra of the Swan. Oliver has worked for eleven years on the Eton Choral Courses and, more recently, on The Junior Choral Courses based in Wellington College, Cheltenham College and YK Pao School in Shanghai. 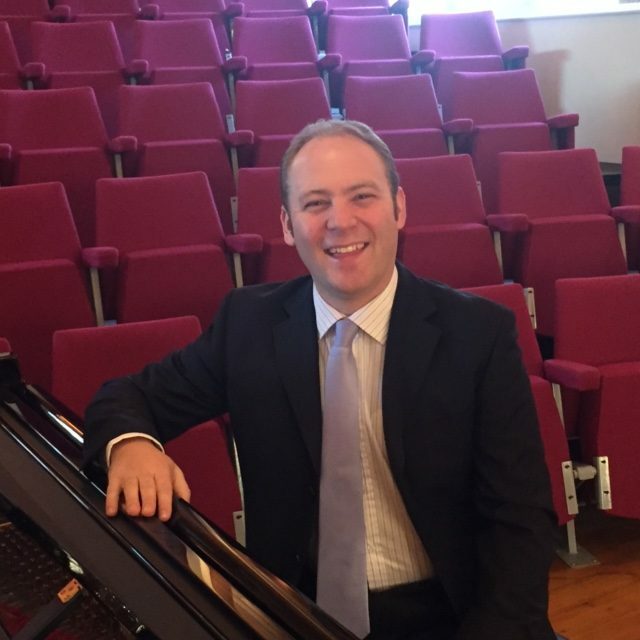 Oliver is in his third season as Musical Director of the thriving Solihull Choral Society, with whom he has delivered a broad range of concert repertoire from J.S. Bach’s Christmas Oratorio and Brahms’ Requiem to John Rutter’s Requiem and Magnificat. Through the choir, Oliver enjoys a fruitful relationship with Sinfonia of Birmingham. As an organist Oliver has performed in South Korea, Japan, Israel, Paris and Norway (where he played in the renowned Bergen Festival). His preference is for liturgical organ playing; he enjoys deputising at venues which regularly included Derby and Lichfield Cathedrals, and has frequently appeared on BBC Radio 4’s ‘Daily Service’ Programme. Oliver has a particular passion for contemporary choral music and has commissioned music from leading composers including Ben Parry, Will Todd, Judith Bingham, Martin How and his organ teacher, David Briggs.